A three-part stress-reduction workshop for caregivers providing the tools, practice and resources to help provide the best quality of care for your loved ones. It shows the importance of providing the same quality of care for yourself -- your body, mind and spirit. Learn to find your inner strength and empower yourself to take care of those who need you. Registration is required; if interested in respite, let us know so we can follow up with you. Call 800.272.3900 to register. RSVP to Shanna Nigro, 845.867.8086, ext. 336. For more information, call the Alzheimer's Association at 800.272.3900. 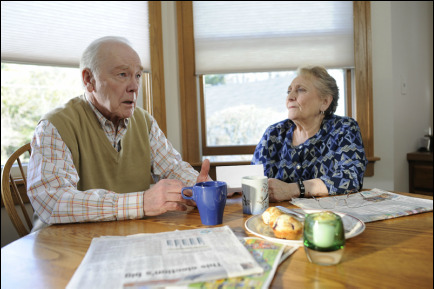 A five-week program for people with Alzheimer's and their family caregivers. Create poetry and art based on suggested topics. No talent or art background required. Participants can join at any time. To RSVP, call the Alzheimer's Association at 800.272.3900. For directions to the library, call 845.688.7811. For more information, call the Alzheimer's Association at 800.272.3900. With questions or to RSVP, call The Alzheimer’s Association at 800.272.3900. ​A five-week program for people with Alzheimer's and their family caregivers. Create poetry and art based on suggested topics. No talent or art background required. Participants can join at any time. Program includes a light lunch. To RSVP, contact the library at 845.221.9943. For more information, contact the Alzheimer's Association at 800.272.3900. Final art exhibit/reception after a five-week program for people with Alzheimer's and their family caregivers. Create poetry and art based on suggested topics. No talent or art background required. Participants can join at any time. To RSVP, call the Alzheimer's Association at 800.272.3900. RSVP is required; call the Alzheimer's Association at 800.272.3900. To RSVP contact the library at 845.452.3141; with questions, contact the Alzheimer's Association at 800.272.3900. 11 a.m. the first Wednesday of every month.